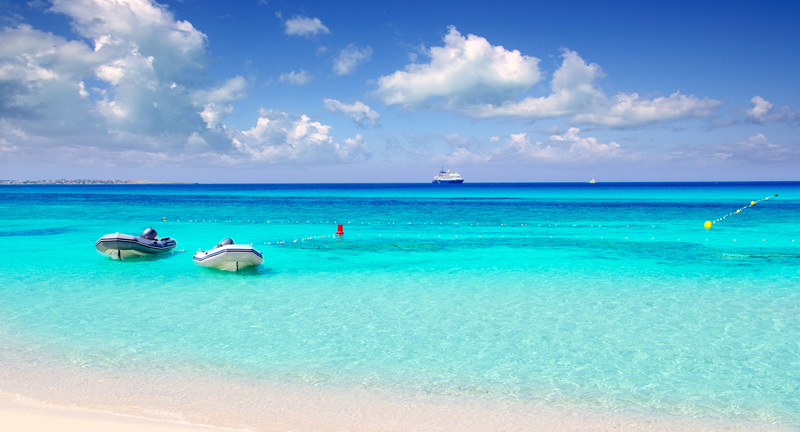 Formentera is one of the four main islands of the Balearic archipelago, in Spain; together with neighboring Ibiza, it forms in turn one of the Pitiuse Islands. Formentera has an area of 83.2 km² and with its 11.878 inhabitants it appears to be the least populated island of the Balearics. The island is characterized by typically Mediterranean vegetation.The resident population is spread among the six centers of the island as the municipal capital Sant Francesc Xavier, La Savina, home of the port, Es Pujols, main tourist center and Sant Ferran de ses Roques, inhabited center and hippy destination since the sixties, Es Caló de Sant Augustì and El Pilar de La Mola. This population grows out of proportion during the summer, given that the island is one of the favorite destinations in Europe, thanks to the beauty of the beaches and the uncontaminated aspect of its Mediterranean vegetation. The official languages of the island are Catalan and Spanish.